Despite triple-digit temps, summer is the best time of year to leave the hustle of city life and enjoy the great outdoors. And by that we mean more than just swimming a few laps in Barton Springs. If you want to head out into the wilderness to reconnect with nature, here are just a few of our favorite spots in Central Texas perfect for a weekend camping excursion. 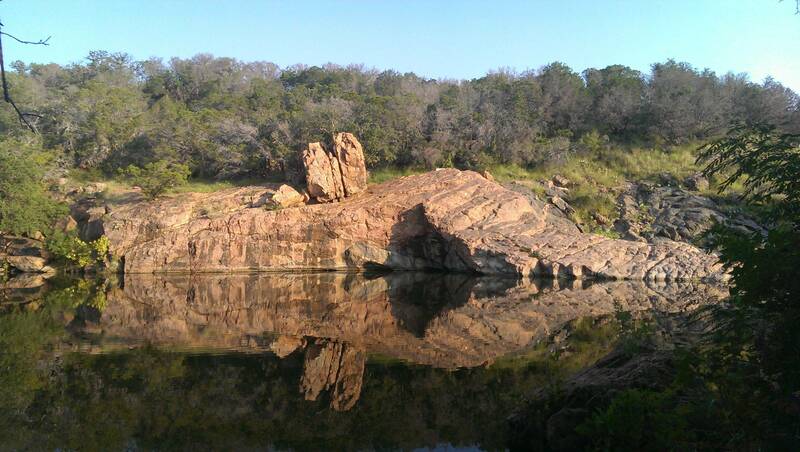 One of the best — and most picturesque — local camping sites is Inks Lake State Park, which offers primitive campsites (meaning no water or electrical hookups) as well as cabins with various amenities. More importantly, the park is located close to many outdoor attractions such as Inks Lake, which stays at a constant level and is open to activities including swimming, boating, fishing and more. But the park’s highlight is certainly the Devil’s Waterhole. This deep pool can be enjoyed either with a park ranger-guided tour or you can just dive right into the cool waters. The nearby Longhorn Cavern State Park is another attraction that's perfect for aspiring geologists. Located about 10 miles northwest of Brenham (meaning you can make a stop at the Blue Bell Creamery on the drive over), Lake Somerville is another lake that offers a great alternative to Lake Travis. One of the better fishing lakes in the Central Texas region, Lake Somerville has stable populations of various species of bass, catfish and crappie. Camping sites with various amenities are near the lake, but if you don’t feel like spending time out on the water there are still great activities. The Lake Somerville Trailway connects the Birch Creek and Nails Creek segments of the state park with 13 miles of trails for hiking, horseback riding, mountain biking and a prime wildlife viewing area near Flag Pond. Travis County’s Pace Bend Park is an excellent camping alternative for folks looking to stay closer to home. While normally a popular spot for boating, low lake levels have left only one boat ramp open, but Pace Bend still promises fun. While most of the park is easily accessible from a paved road that loops around it, the interior (which is a wildlife preserve) can only be accessed by foot, bicycle or horseback. Less traffic means you’ll have a better chance to view the local population of whitetail deer, foxes, ringtail cats and numerous bird species. Primitive and improved campsites are available all around the lake with impressive vistas and several coves open only to swimmers. Already one of the most popular parks in Texas due to the nearby Frio River, Garner State Park is a perfect for a bona fide city-dweller in need of a weekend outdoors. A bit more developed than other spots, Garner State provides shelters and cabins in addition to various campsites. 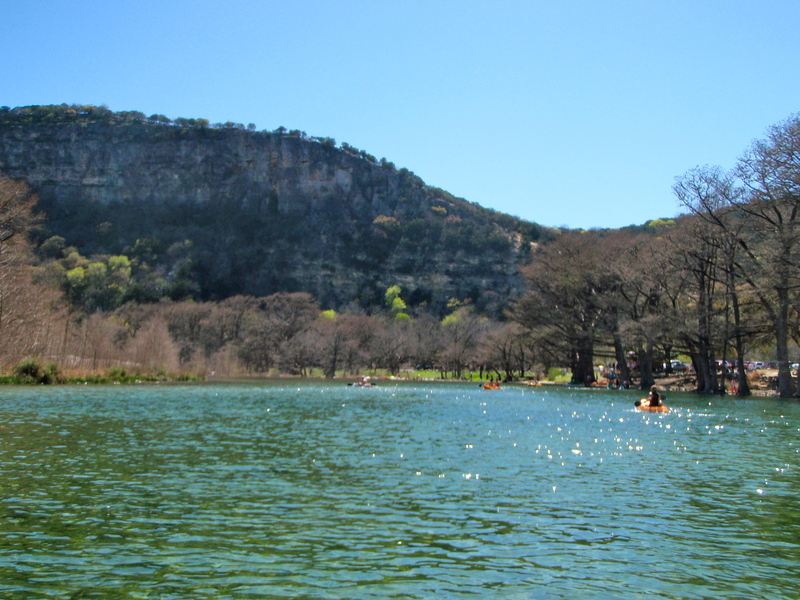 When you’re not floating the Frio, you can take the time to study nature, canoe, fish and even dance. Yes, Garner State Park has been famous for its summer evening dances since the 1940s, with guests gathering at the park’s concession building for an old school jukebox dance. Just because you’re camping doesn't mean you have to stop partying. You will gain a new appreciation for the beauty of the Texas Hill Country with a visit to Colorado Bend State Park. Considering all of its campsites are primitive, it makes the perfect place to truly escape civilization. But you won’t feel like staying at camp for long. The park offers over 32 miles of multi-use trailways and rangers offer guided tours of one of the hidden gems of the Hill Country, Gorman Falls. The Wild Cave Tour offers spelunking most Saturdays, giving you the chance to get into the belly of the earth and see what lies beneath the Colorado River. 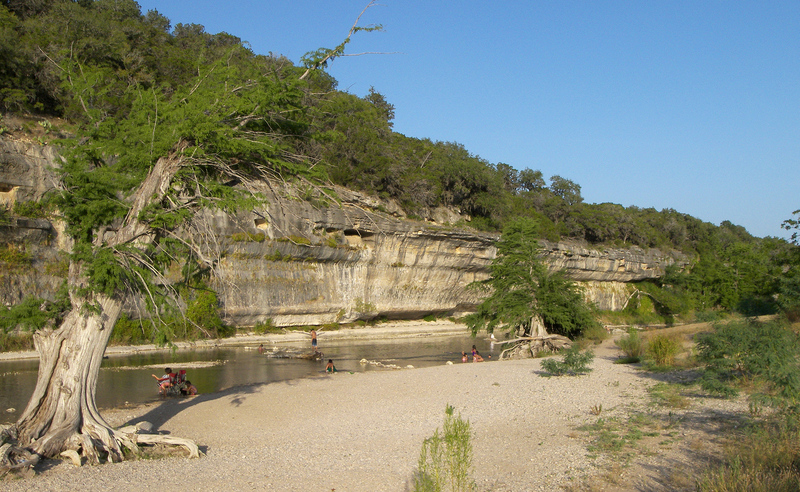 Just north of San Antonio, Guadalupe River State Park is a gorgeous park located on a nine-mile stretch of river (including four miles of river frontage). Guests can enjoy spending the days tubing, canoeing, fishing, swimming and hiking. The park has also recently opened up a new five-mile equestrian trail that’s also open to mountain bikers. Guided tours are available at the nearby Honey Creek State Natural Areas, and is a must-see in the park. Please make sure to note that though July, all campsites with water and electricity will be closed for an improvement project. Though they are two separate parks, the Bastrop and Buescher parks are less than four miles apart and are connected by a scenic park road. 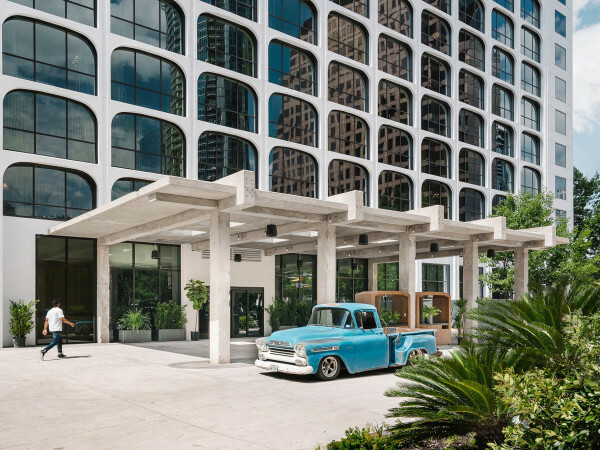 Both are also easy to get to from Austin: just a 45-minute drive along State Highway 71. While Bastrop State Park and many of the surrounding pine trees were destroyed in the 2011 wildfires, the historic cabins were saved and most trails and campsites have reopened. Take the guided “Field Trips on Wheels” on the road connecting the parks and you’ll start to see how the area is recovering from the disaster. 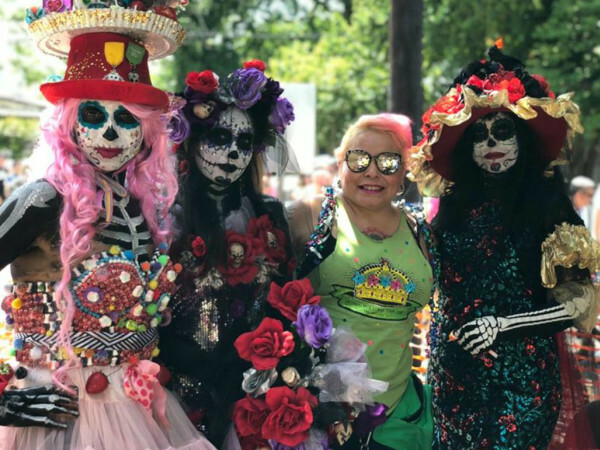 Make plans to return each year and witness the slow rebirth of this Central Texas gem.